Dubbed as the updated Lord of Flies, Maze Runner is a 2014 movie about post-apocalyptic era evolving on young adults following suit the movies Divergent, Hunger Games and The Giver. 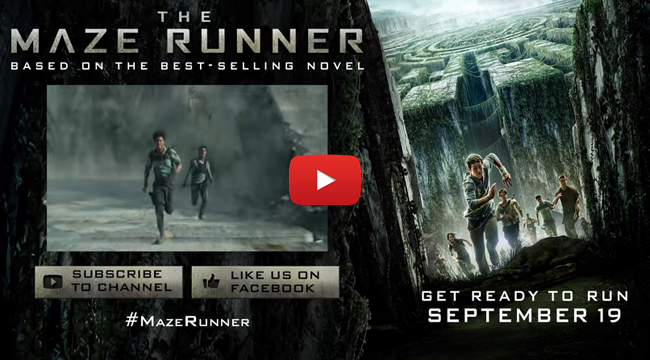 Written by James Dashner, the book the film was based on is the first part of a trilogy together with The Scorch Trial and the third book The Death Cure. The film opened up with a boy being awaken in an elevator and opened up in what seemed to be an outdoor camp full of boys around his age. The camp called the Glade is surrounded by a an enormous maze that had been unfathomable for the other boys for three years. The boys who had arrived there earlier than him had tried searching the way out of the maze to no avail. To make things worst, the maze is only roamed by Grievers, the giants monsters, but te maze also shifts every night. Despite the hardships the boys faced, they all tried to live in harmony until Thomas, the new comer arrives. As compared with the William Golding’s Lord of Flies, the book revolves around a group of boys who were stuck in a deserted island after surviving a plane crash. The boys tries to co-exist, building a small community, gathering food and keeping signal fires burning. The group was tried to be led by Ralph helped by his sidekick Piggy. They were at peace at first until the group fell apart as some tried to do things their way. One group decided to hunt wild boars against Ralph’s leadership. Soon Ralph and his friend found themselves hunted by the other boys. Since Maze Runner is the first installment of a trilogy, much had not been explained and viewers would have to watch or read the remaining two parts to be able to feel that the story is actually finished.